Ear, nose & throat disorders account for a high proportion of the problems that students and junior doctors see during GP, A&E, paediatric & surgical rotations, but they receive little formal ENT training. Logical, building-block approach to content: initial chapter on relevant anatomy and physiology, followed by focus on ENT examination. Subsequent chapters describe specific disorders. Fully-updated second edition contains brand new diagnostic algorithms for effective decision making, expanded rhinology chapter and full-colour illustrations. 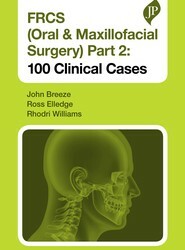 FRCS (Oral & Maxillofacial Surgery) Part 2: 100 Clinical Cases focuses on the clinical component of the exam and is structured according the FRCS OMFS syllabus. Each chapter starts with cases devoted to examination of the patient, history taking and investigations. Subsequent cases feature ‘short case’ clinical scenarios commonly encountered in the exam. Where relevant to exam practice, a ‘long case’ is included at the end of each chapter. The ‘short cases’ feature mock questions, while the ‘long cases’ also include an examiner’s mark sheet listing the answers and actions candidates must perform to achieve full marks. Melanocytic Proliferations: A Case-Based Approach to Melanoma Diagnosis provides a practical, case-based approach to the diagnosis and differential diagnosis of this challenging area of dermatopathology. 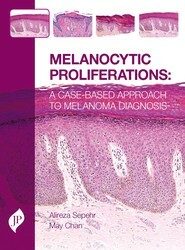 There are numerous atlases and encyclopaedic references available that cover this disease, but Melanocytic Proliferations: A Case-Based Approach to Melanoma offers a unique, case-based approach to the diagnosis of melanoma. Using clinical scenarios to guide the reader through the differential diagnosis and highly structured text that explains the requisite diagnostic tests and hot to interpret the results they provide, the book explains how to discriminate between similar-looking presentations and avoid diagnostic pitfalls. 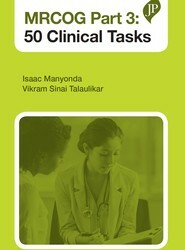 MRCOG Part 3: 50 Clinical Tasks is the ideal revision guide for candidates preparing for the MRCOG Part 3 examination. Tasks are arranged according to the MRCOG Part 3 syllabus and include detailed answers, while a separate full mock circuit allows candidates to practice under exam conditions. 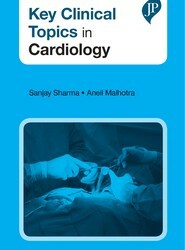 Key Clinical Topics in Cardiology presents a brand new addition to the Key Clinical Topics series. The book provides a comprehensive overview of the subject, comprising over 60 carefully selected topics in alpha order that together provide an extensive understanding of the management of cardiovascular disorders. This collection of highly practical guides systematically addresses management techniques for a large number of clinical settings. All hospital doctors deal with ABGs (arterial blood gases) but knowledge is commonly assumed and students lack confidence interpreting them. Logical, sequential content: relevant basic science, understanding normal results and the building blocks of abnormal results, then clinical disorders. Clinical disorders illustrated by representative test results and brief accompanying text that clearly identifies the defining feature of the result (in other words, what is it that makes this diabetic ketoacidosis?). Fully-updated second edition features new sections on capillary blood gases, venous blood gases, obesity and all illustrations now in full colour. Logical, building-block approach to content: initial chapter on the anatomy and physiology of pregnancy, followed by focus on obstetric examination and managing normal pregnancy. 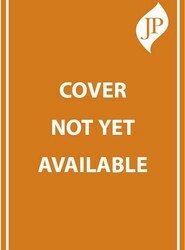 Subsequent chapters describe specific disorders and complications. Disorders are accompanied by medical images, examination photos and practical artworks. Focuses on the conditions medical students and junior doctors are most likely to see. Provides clinicians with a comprehensive understanding of how best to overcome infertility using the various treatment options now available. The book opens with an introduction to the anatomy and physiology of the female reproductive system before describing the assessment and investigative tools used in primary and secondary healthcare settings. Subsequent chapters describe how to secure optimum functionality of the ovaries, the measurement of ovarian reserves, stimulation protocols and the process of oogenesis and oocyte collection. 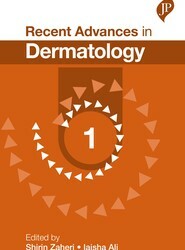 Recent Advances in Dermatology: 1 is the ideal resource for keeping abreast of new developments in this constantly changing field. Written by expert authors and featuring topics such as oral lichen planus, allergic contact dermatitis to cosmetics and toiletries, and benign and malignant penile lesions, each chapter highlights the latest developments of relevance to clinical practice.